The decision by leadership of the Catholic Church, Enugu Parish to transfer Rev. Fr. 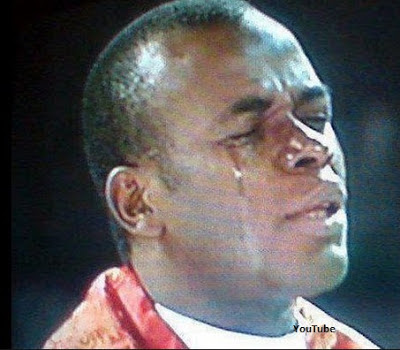 Ejike Mbaka from Christ the King Parish in the Government Reserved Area, GRA, of the state was on Sunday condemned by the All Progressives Congress, APC. Okuchukwu while stating that the priest has been under attack from President Muhammadu Buhari’s opponent since he prophesied that the President will win the last election, noted that the party was in solidarity with the priest and condemn all attacks on him. He alleged that the leadership of Ohanaeze Ndigbo influenced Mbaka’s transfer to a new parish where he will serve under someone else. Okuchukwu said, “As a party we have watched with concern and trepidation the criticism, the attack, assault and unpleasant comments hurled against Fr. Mbaka since he providentially prophesied that President Buhari would win the 2015 elections. “Even the Church did not spare him, he was called unprintable names, yet his prophecy came true. We are happy that Fr. Mbaka was vindicated. “It must be pointed out that accusing fingers were pointed at the direction of some anti-Buhari elements like Ohanaeze Ndigbo, a group that didn’t want to hear the name of Buhari – even though Ohanaeze denied the allegation, doubts still persists. “For we are still at a loss why a senior priest will be degraded to an assistant parish priest. “We repeat that we are in solidarity with Fr. Mbaka and our major concern is the security of Fr. Mbaka and the suffering of his flocks mostly the poor who need his healing powers. “We had thought that His Lordship Bishop Calistus Onaga could have retained him at the Adoration Ground, as the Bishop Emeritus Gbuji did because of security of his life and easy access by his flocks,” The fiery priest and Spiritual director of the Adoration Ministry was transferred to Our Lady Parish in Emene from the Christ the King Parish, G.R.A, where he presided over for 20 years as a parish. He is to serve under another priest.